Bags and carbon dust filter kit for Cyclo Vac central vacuum. 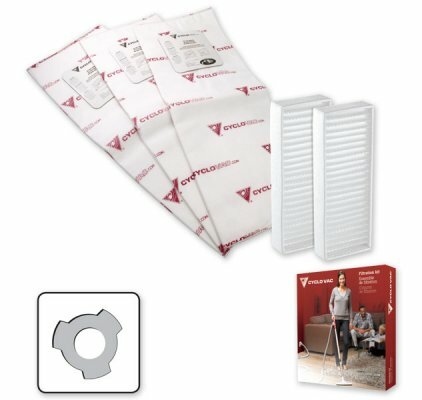 This kit includes 3 heavy duty electrostatic filter bags and 2 patented carbon dust filters. These 3 notches bags are sewn to make them stronger. Our patented carbon dust filters capture the fine black dust produced by the motor.